Doctors differ and patients die; Dr McManus, O’Brien and Coetzee differed, Shane died. It is worth a mention that Professor Cowen admitted to the British Medical Journal (BMJ) in 2002 that his grip on reality was never particularly strong. So, Professor Cowen has “previous” with Prof. Healy trying, unsuccessfully I might add, to discredit him and has a long and I’m sure profitable association with Lundbeck and he is deemed to be independent? Then, despite Professor Healy being a world renowned expert on SSRI’s and my insistance on forwarding the IMC a copy of his report which stated that, in his opinion, the drug caused Shane to behave as he did, they decided there was “not sufficient cause” to go further with our complaint. The deaths of Shane and another were considered “not sufficient cause”? Considering the close relationship that the IMC have with Irish Psychiatry, the fact that Professor Casey felt the need to come along to Shane’s Inquest (barrister in tow) and Irish Psychiatry’s involvement before, during and after the Inquest. it would make you wonder what they are trying to cover up?? The fact that these drugs cause suicide/homicide maybe? I am mindful of the fact that other families are involved in our tragedy but as for the treatment Shane received in the last 17 days of his life, there should be no secrecy afforded. Shane talked to 3 doctors in his last 17 days and strangely enough, they all said they did the right thing in treating Shane. 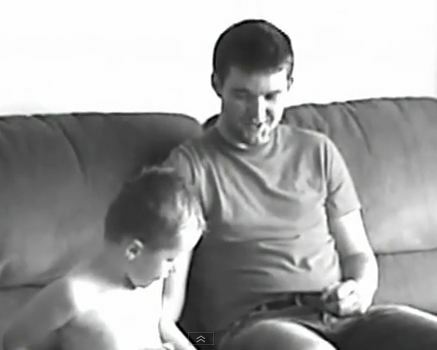 Their recollection of my lovely son include a copious amount of lies, innuendo and misinformation from all 3 doctors. I would think that the treatment Shane received from all 3 doctors is self-explanatory, considering after 17 days of this treatment, he was DEAD!!! These 3 Doctors, in my humble opinion, deserve a special place in Professor Healy’s “Model Doctors“. One surprising fact (or not) is that Irish doctors do not take the Hippocratic oath. I refer to your letter dated 17 November 2010. I also refer to the formal responses you have kindly provided from Dr Eimear O’Hanlon dated 15 October 2010, Dr Johanna Coetzee dated 5 November 2010 and Dr John McManus and Dr Tony O’Brien, both of which are dated 16 November 2010. While I have set out below my further comments on the above responses, I have not commented on the report from Dr Eimear O’Hanlon as her treatment of Shane did not form part of my original complaint. I take serious issue with Dr. McManus and what is considered to be normal practice for a patient who has previously expressed suicidal thoughts. Why and indeed if it is considered to be normal practice to give a depressed patient a months supply of what has proven to be a lethal dose of any drug, did nobody put a stop to this madness? It is clear from review of the leaflet contained in each packet of Cipramil and from various information leaflets sourced from the internet that suicidal thoughts and/or depression may be increased when first starting a course of anti-depressants. The information leaflets also state that suicidal thoughts are more likely to occur if a patient has previously had such thoughts as well as with adults aged less than 25 years. Dr McManus recorded in his consultation notes that Shane had previously had thoughts of self harm/suicide. In the circumstances the appropriate treatment plan should have been for Shane to return to Dr McManus for review on a weekly basis for the first 2 weeks at least rather than for review after three weeks only as requested by him. In my original letter of complaint I commented that Dr McManus should have considered alternative treatments and/or psychiatric review prior to prescribing antidepressants. Despite his consultation notes not referring to having suggested to Shane that he consider psychiatric review, Dr McManus now claims in his letter in response that he advised Shane that he should consider a referral to a psychiatrist. Dr McManus’s consultation notes do not refer to this advice having been given and so I believe that his response on this issue should be considered in light of this. Given the serious risks associated with Cipramil I stated in my letter of complaint that Shane should have had a much fuller examination prior to being prescribed the medication and should have been advised of any of the potential side effects of the drug. Significantly the consultation notes of Dr McManus do not reflect that he discussed the side effects of Cipramil with Shane and in his response Dr McManus does not claim that he did so. Instead, he relies on Dr O’Hanlon having done so during her consultation with Shane on July 18. With respect to Dr McManus, it was his decision ultimately to prescribe the medication to Shane and should therefore have been his duty to describe in detail to Shane the side effects of the medication. Dr O’Hanlon may have explained some of the side effects to Shane (as her consultation notes reflect) but it is accepted by Dr McManus that Shane had declined the treatment when raised by Dr O’Hanlon and so a much more comprehensive discussion should have been initiated by McManus during his consultation with Shane. Dr O’Brien spoke with Shane on the evening of 31 July 2009 following a telephone call which Shane had made to the Carlton Clinic earlier that evening. At the time Shane had been taking Cipramil for 4/5 days and was extremely agitated, could not stay in the same place for too long and had a swollen tongue. While Shane had called to speak with Dr McManus, he was unavailable. Shane was contacted that evening by Dr O’Brien with a consultation conducted over the telephone. 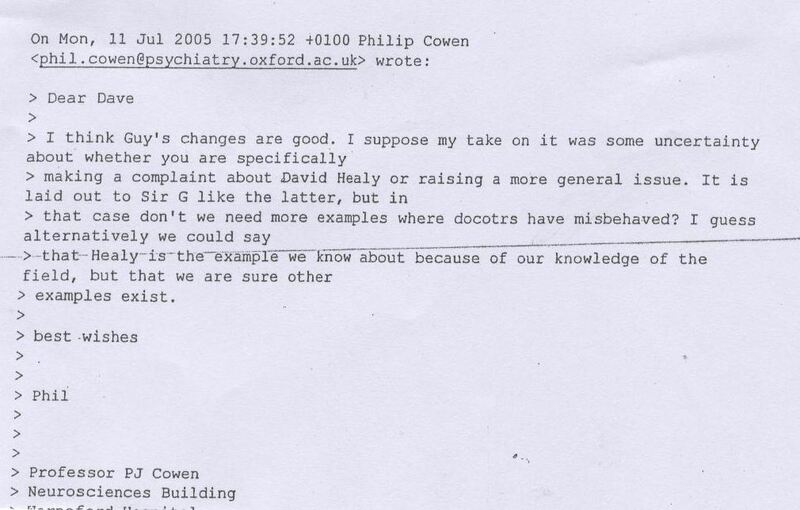 Dr O’Brien confirms that he reviewed the notes from previous consultations conducted by Dr O’Hanlen and Dr McManus. Dr O’Brien explains that after speaking with Shane he considered his swollen tongue to more likely be as a result of Calvepen which Shane had previously also been prescribed for a sore throat. As I have previously stated, I am surprised and disappointed that Dr O’Brien considered it acceptable that a judgment as to how a patient was coping with medication was not only left to the patient themselves but that it was acceptable for such a consultation to be conducted by way of phone in the face of the patient’s known history and the known side effects of the medication in question. The fact that one of the significant side effects of Cipramil highlighted in the leaflet contained in each pack of the drug is a swollen tongue, an urgent physical examination of Shane would have been appropriate. While there are a number of factual matters contained in the report from Dr Coetzee that I do not agree with, my substantive comments below focus on those issues directly concerning her actual assessment and treatment of Shane. A key issue relied on by Dr Coetzee to explain her treatment of Shane is the suggestion that Shane had advised her that he had been taking Cipramil for ‘’a few months’’. It is clear from Dr Coetzee’s response that she (perhaps, more so now) understands the very real risks associated with Cipramil, and particularly in the first 2 weeks of treatment. With the greatest of respect to Dr Coetzee I cannot accept her statement that Shane had advised he had been taking Cipramil for the length of time Dr Coetzee now claims. Shane had only been taking the medication for a total of 11 days when he was examined by her. If Shane had been asked directly how long he had been taking the medication he would have, I am sure, have confirmed exactly when he first started the course of anti-depressant medication. Unfortunately with Shane’s death we now have no means of challenging the statement of Dr Coetzee and the importance of the dosage change can not be excused by saying Shane wanted to discontinue the medication. As Shane was only on the medication for 11 days at that stage and had no idea of discontinuation syndrome, he would simply not have gone back to the doctor if he had shown a desire to stop the medication of which I can assure you , he didn’t! Significantly, the actual record of Dr Coetzee’s consultation with Shane (attached to my original letter dated 13/08/2010 ) do not record him having been asked the length of time he had been taking Cipramil or that Shane advised her that he had been taking the medication for the period of time now claimed. Shane was an intelligent and (as Dr Coetzee notes) well spoken young man. I cannot accept Dr Coetzee’s suggestion that he was unable to advise her of the name of the doctor who had originally prescribed the Cipramil. At the very least, Shane knew the name of the clinic which he had originally attended and if requested to do so, would have given this information. Dr Coetzee would then have been able to urgently consult with the clinic to verify Shane’s previous medical history and/or to confirm the various assumptions (including the incorrect assumption that Shane was being monitored by a psychiatrist) which she appears to have made in her assessment of him. Given that Shane had presented to her 48 hours after having tried to commit suicide by taking 21 Cipramil tablets (in addition to other medication), immediate verification of his medical history would have been the very minimum course of conduct required. In the circumstances I am particularly dismayed not only with Dr Coetzee’s ready acceptance of Shane’s assertion that he had no intention of self harm but also of her conclusion that Shane showed no signs of distress. Shane was unable to focus or concentrate on anything, was extremely agitated and was shaking so much I commented to my husband prior to driving him to see Dr Coetzee that he looked as though he was suffering from Parkinson’s disease. In the circumstances I believe that the reasonable course of action for Dr Coetzee to have adopted would have been to urgently contact Shane’s doctor or at the very least to have identified the clinic at which he had been originally treated and to have contacted the clinic accordingly. As I noted in my original letter of complaint, given Shane’s attempted suicide and the condition in which he presented to Dr Coetzee, clinical tests and an onward referral for immediate specialist treatment would have been the very minimum of care that Shane was entitled. I firmly believe that there should have been greater responsibility taken for management of Shane’s treatment during the initial 2/3 week period. Why did no doctor take responsibility for monitoring my son when he first commenced treatment? Despite the countless ‘’red flags’’ that could/should have been identified by all the doctors, no consideration was given at any stage to either alternative treatment or, more importantly, the close monitoring of his condition. My family (as well as other families directly affected by the tragic events of 16 August 2009) will never fully come to terms with our loss. What happened to Shane and the inadequate treatment which I believe he received should never be repeated.